I'm not going to review this one very thoroughly-- I said it all in the review of the first book. I love Tania and Alexander and I COULD NOT PUT THIS BOOK down. We find out a lot about Alexander in this book. This book is mainly about war, where the first book was about first love in a time of war. This book is pain and strife and endless suffering for our hero and a nearly equal amount of suffering for our heroine. It continues to be epic. 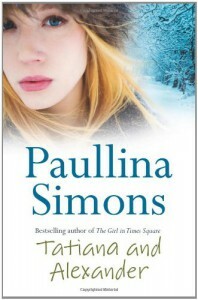 Tatiana comes into herself, into her complete and utter badness in this book. She is a force to be reckoned with. If there is a war on, I want her on my side. The ending is happy, though for me, it wasn't enough-- I needed more. I needed an epilogue, or something. Book three is going to be my epilogue I guess.